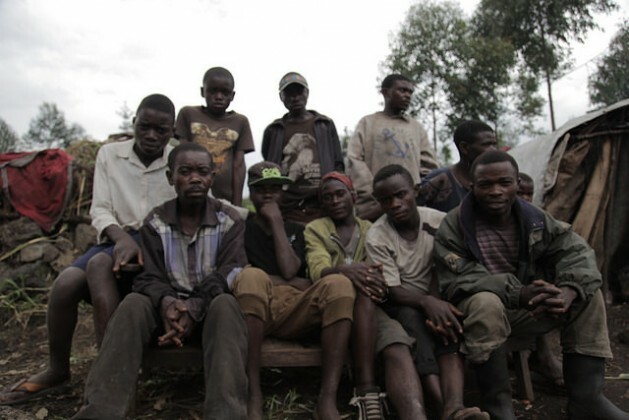 This article is the second in a two-part series on the challenges faced by the Democratic Republic of Congo's indigenous Bambuti people around Virunga National Park in North Kivu. MUDJA/BIGANIRO, Sep 15 2016 (IPS) - The Bambuti people were the original inhabitants of Virunga National Park in the Democratic Republic of Congo, the oldest national park in Africa whose boundaries date back to 1925 when it was first carved out by King Albert of Belgium. But forbidden from living or hunting inside, the Bambuti now face repression from both park rangers and armed groups. Virunga National Park is considered a sensitive zone for the government because of potential oil exploration, mining and rebel groups. Compounding the difficult relationship between communities and conservationists is the park’s location. According to researchers, it lies at the epicenter of an ongoing conflict and is affected by cross-border dynamics between Rwanda and Uganda. Without access to the forest and to their ancestral lands to hunt and gather, the Bambuti have trouble surviving. Many depend on daily contractual labour from surrounding communities, such as cutting trees for wood that is sold in Goma. Seventy-year-old Muhima Sebazungu, one of Mudja’s community leaders, said that they are starting to forget their traditional knowledge of plants and medicines. Patrick Kipalu, of the NGO Forest People’s Program, believes that the park and government’s exclusion of the Bambuti from conservation efforts is a waste of the immense amount of knowledge indigenous communities have about forest ecosystems. One solution, he said, would be to recruit them as rangers in protecting the park. The ICCN’s Jean Claude Kyungu said that there are “specific criteria” for recruiting rangers, which the Bambuti do not fulfill, including having a diploma from the state. His view is not unusual; many people, including those directly involved in advocating for the Bambuti, believe that they are inferior to Bantu communities. Although official policy under Mobutu’s regime aimed to ‘emancipate’ indigenous people and to consider them no different from other communities, in practice this meant promoting a sedentary lifestyle and agriculture. Doufina Tabu, president of a human rights organization, the Association of Volunteers of Congo (ASVOCO), works with Bambuti communities living outside the park whose land has been stolen. “There are things in their culture that we must change. They can’t continue to stay in the forest like animals,” he said. A report by Survival International states that forcing “development” on indigenous people has “disastrous” impacts and that the most important factor to their well being is whether or not their land rights are respected. According to Kipalu, the living conditions of the Bambuti are far worse now than when they were in the forest. “Being landless and living on the lands of other people means that they end up being treated almost as slaves,” he said. The Bambuti from Biganiro do not understand why they cannot access basic services and still be able to return to the forest. Around Kahuzi-Biega National Park, which like Virunga, is classified as a World Heritage Site, the organization Environment, Natural Resources and Development, ERND, together with the Rainforest Foundation Norway, filed a legal complaint in 2010 for the Batwa, another indigenous group, to receive compensation for the loss of their lands inside the park. The case landed at the Supreme Court in Kinshasa in 2013 where it has remained. 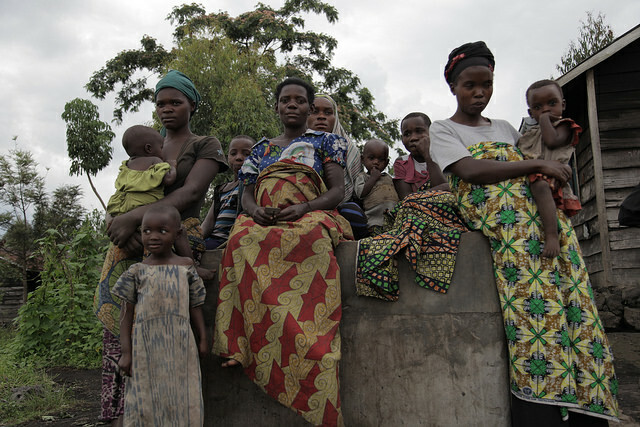 In May 2016, the organizations submitted their complaint to the African Commission of Human and People’s Rights, but have yet to receive a response from the Congolese government. Mathilde Roffet, from Rainforest Foundation Norway, said that even if the court rules in favour of the Batwa, they will still have to deal with UNESCO and the park’s status as a world heritage site. She hopes that the case can set a precedent for other national parks. At the national level, the Dynamique des Groupes des Peuples Autothtones (DGPA), a network of organizations that works on the rights of indigenous people in the country, have been working on a new law recognizing their rights. Although the DRC voted to adopt the UN Declaration on the Rights of Indigenous People in 2007, the country’s constitution, 1973 land law and the 2002 Forestry Code make no reference to the rights of indigenous people. The proposed law includes the protection of their traditional medicine and culture, as well as access to land and natural resources. Article 42 specifically states that indigenous people have the right to return to their ancestral lands and be fairly and adequately compensated if they have to relocate. Since 2014, its adoption has been stalled. “They keep saying ‘we will discuss it next week, next month’ but the country is going through a lot of political changes, so they are giving a priority to other political issues first,” said Kipalu. In the meantime, the network is working with the ICCN and the government on road map for the short term, which includes ensuring that indigenous people have access to education and healthcare. “We do want the communities to go back to their land eventually. Some want to go back to the forest, but others are ready to accept parcels of land outside. It’s going to take many years,” said Kipalu. The ICCN’s Jean-Claude Kungu said that the ICCN has been trying to improve relations with communities around the park through different initiatives. “We have proposed initiating development activities like hydroelectric projects, water delivery, and other projects in favour of the population,” he said.